A little cluster of flowers in the early morning drizzle. 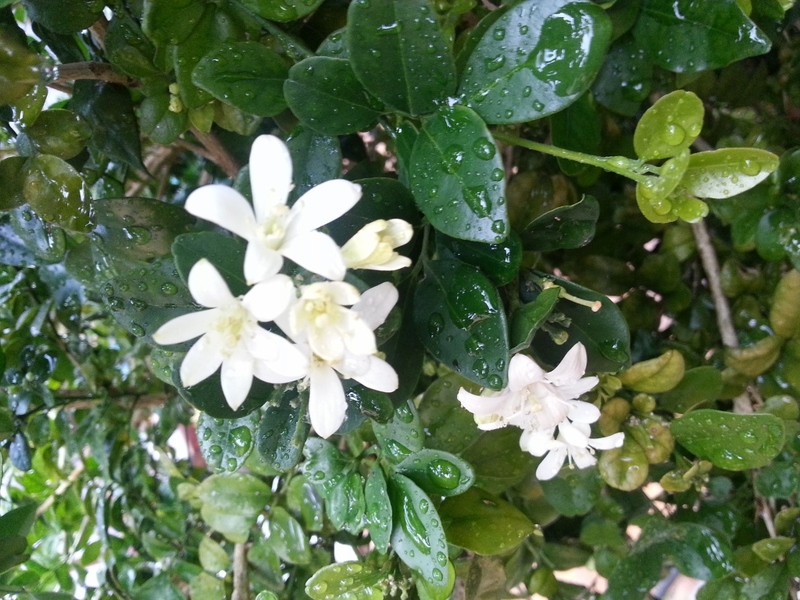 These are on my orange jasmine bush, which doesn’t flower like they do in the Eastern Cape… too much wind here, I think. So even a little bunch is a wonderful sight.